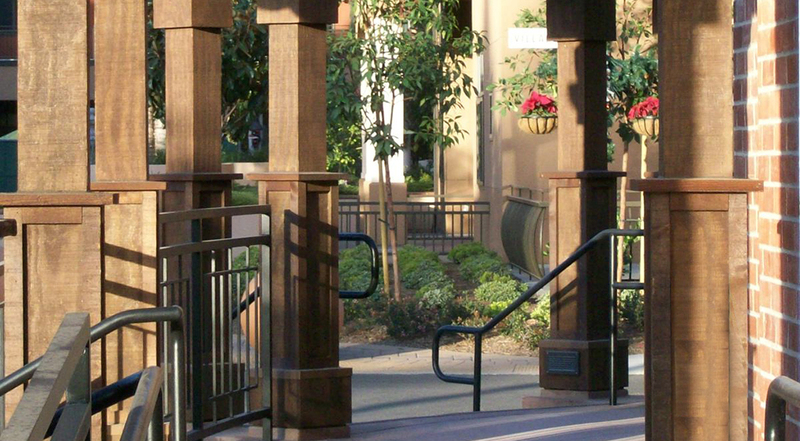 Walnut Village is a new, full-service Continuing Care Retirement Community (CCRC) that opened in October 2009 in Anaheim, Calif. The community is a new concept in retirement living where residents 62 and older are surrounded by people, amenities and events that make life engaging. Its award-winning design is set apart by its unique village approach in which a village square offers residents opportunities to dine, engage in social activities or simply relax. We completed the construction of the Performing Arts Center in the Community which included a renovation of an existing church into performing arts space. The project also included a new addition to expand the building and provide changing rooms, offices and new restrooms. The Performing Arts Center hosts seminars, dances and live performances by not only talented residents but recognized artists as well. Classes in drama, music and singing are offered.